Calvin Earl Teague, 72, of Sallisaw, passed away Sunday, Jan 13, 2019 at his home surrounded by his family. He died at 11:30 pm after a long battle with COPD and cancer. He was born on Nov 2, 1946 in Keota, OK to Huey Eugene and Walcy Bell (Darrow) Teague. Calvin was a veteran of the US Army. On Apr 17, 1969 he married Sharon Koquez Cowan of Gans. The majority of his life he worked as a automobile mechanic. 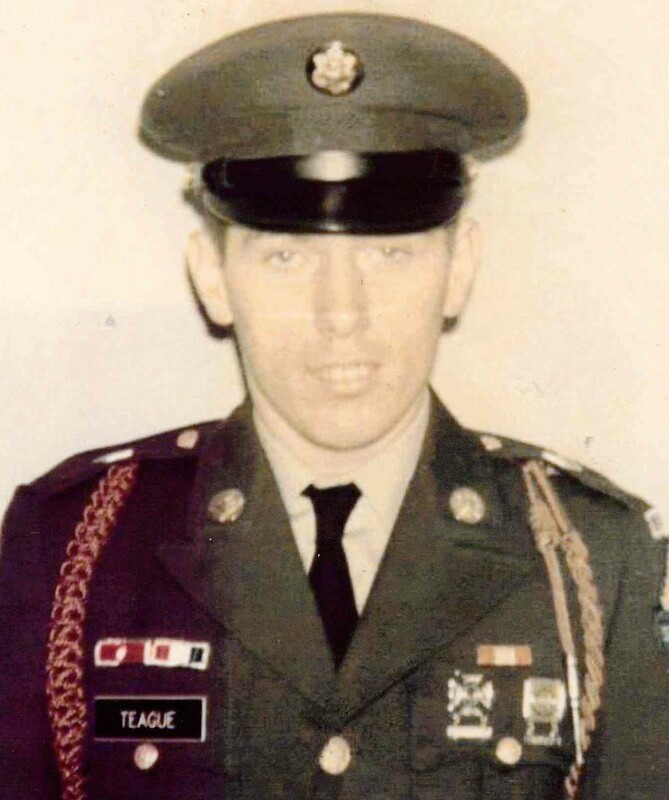 He is survived by two sons, Anthony Lance Teague of Sallisaw, and Calvin Joe Teague and his wife Kathy of Van Buren, AR; 6 granddaughters; 2 great grand daughters; 1 great grandson; one brother, Roy Teague of Muldrow; and a host of other relatives and friends. He was preceded in death by his wife of 35 years, Sharon Teague, his daughter, Angelia Koquez Teague-Hamilton, twin brother, Alvin Bearl Teague, another brother, Charles Teague, and his parents. Graveside services for Calvin Teague will be held on Wednesday, Jan 16, 2019 at 2:00 pm in the Gans Cemetery. Military Honors will be presented by Ft. Sill Army post, Ft. Sill, OK.
Funeral services are under the direction of the Forever Memories Funeral Service, 463505 Hwy 101, Sallisaw, OK.
Calvin ,Kathy and Lauren so sorry you your loss. I pray that God will help you in this sad time. Love you guys. What a handsome man he was. Praying for you and your family to be reminded of all your sweet memories with you dad. I’m thankful for God’s promise of being reunited with our loved ones. Love and prayers for all! So sorry for your loss. You are in my thoughts and prayers. I know he was very loved and will be missed. Calvin was a wonderful man so sorry for your loss. My dad always said there isn't a better mechanic as good as Calvin. He helped out my dad many of times with vehicles and was a good friend.I'm going to miss seeing Calvin at restaurants in the mornings....may the Lord bless your family during this time of sorrow. I Am Sorry About Your Loss. I Have Known Calvin Since We Were Children. God Comfort You In Your Time Of Sorrow. Calvin will truly be missed. He was a customer of ours at Oreillys auto parts. Our prayers are with you all during this time of loss.